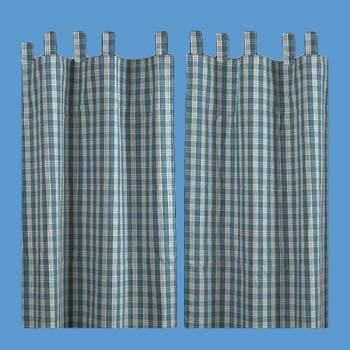 Curtains Blue 100% Cotton Panels 84" x 90"
Tab Top Curtains. 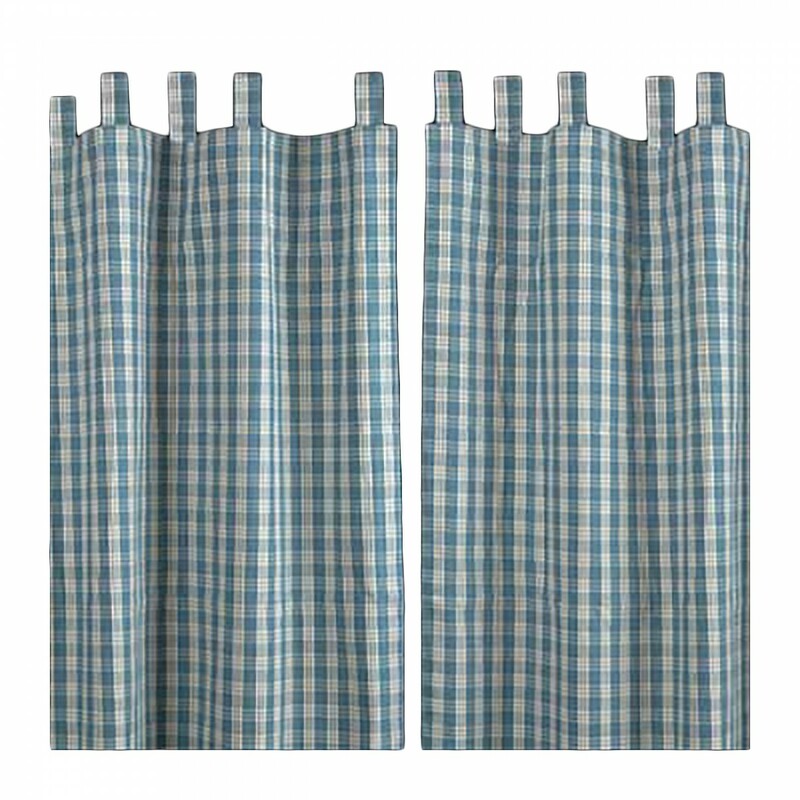 Made in the US with pride these 100 percent cotton curtains come complete to include 2 tab top panels each measures 84 in. H x 45 in. W. Generous 3 inch hem and 3 in. top tab. 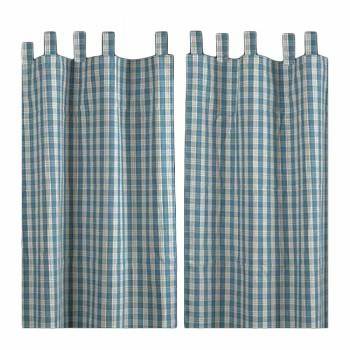 They are blue and ivory plaid. 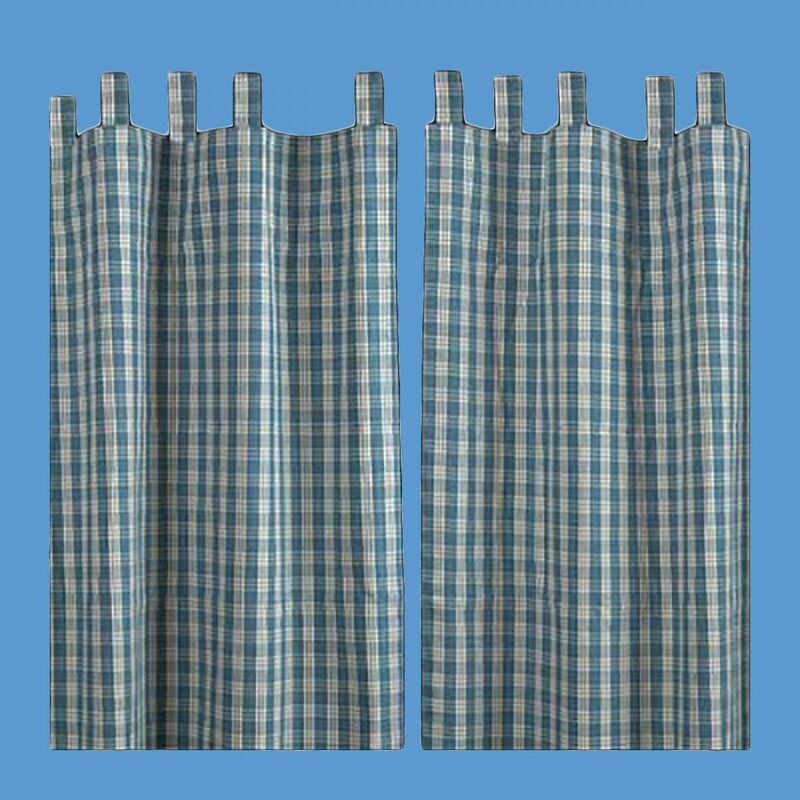 Wash in warm water using the perma press cycle. Do not wring or twist. Machine dry on warm cycle.